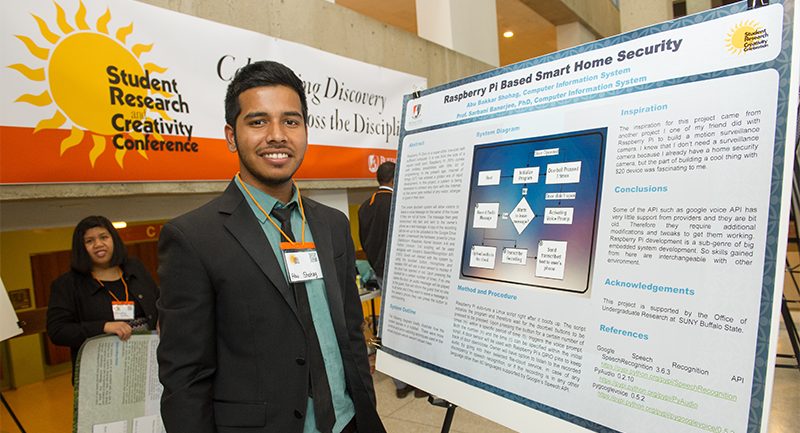 Buffalo State is a pioneer of student research through the Office of Undergraduate Research (OUGR), which connects students with research, creative, and applied learning opportunities across the campus, throughout Western New York, and beyond. Ultimately, undergraduate research has taught our alumni how to be students for life. We asked some of our graduates to share how undergraduate research influenced their path post graduation. Many said undergraduate research directly exposed them to a field that they are still immersed in through graduate course work or their professions. Alumni who participated in undergraduate research can be found working in a variety of careers including academia, research, project management, and teaching—to name a few. If you are an alumni of an undergraduate research program let us know what you’ve been doing since graduation by submitting this short form.